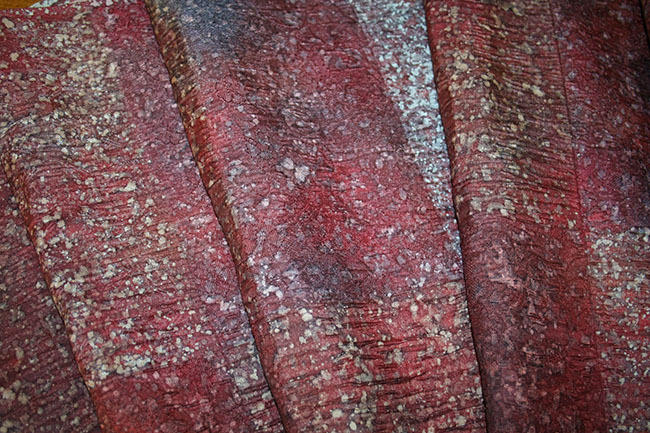 Kimoyes item: 21464 - Highly textured kimono silk with dyed abstract dyed pattern in rectangle format. Highly textured kimono silk with dyed abstract dyed pattern in rectangle format. The all over woven pattern is in high relief and adds body to this beautiful maroon toned silk.